This module is designed to enable Yoga Teachers to understand the yoga practices appropriate for child development such as asanas, asana-based movement, yoga-based games and activities, breathing techniques and chanting. This module enables students to understand child developmental stages and how this knowledge assist a Yoga Teacher in deciding appropriate practices for children. Along with the traditional yoga philosophy to understand a child's need in a modern world, this module also throws light on a yoga teacher’s relationships with parents/guardians and developmental specialists. This module is designed to equip the student with both modern and traditional teaching methodologies. It helps in building confidence of students as a teacher and provide them with age-appropriate teaching and communication skills required for working with children. 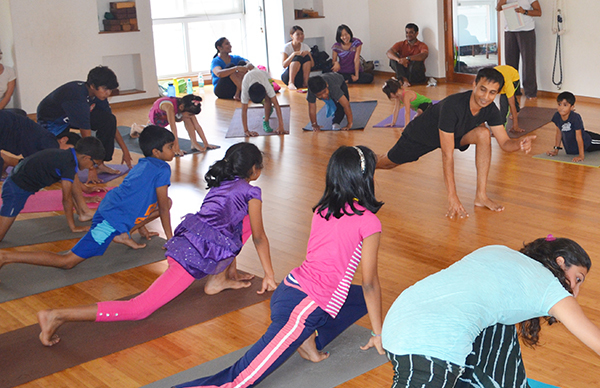 Non-contact hours includes apprenticeship and group work – executing a yoga workshop for children. The non contact hours may be completed through a more flexible approach keeping in mind the existing scheduling constraints of an active teacher and satisfy the core requirement at their convenience and flexibility. The course is designed to equip yoga teachers with knowledge and first- hand experience of teaching yoga to children according to their developmental stage in a safe, fun and enriching manner. Study and understanding of all childhood developmental stages, how the issues of each stage impacts what is appropriate for teaching them. Understanding of the yoga teacher’s relationships with parents/guardians and developmental specialists, communication skills for conducting those relationships. 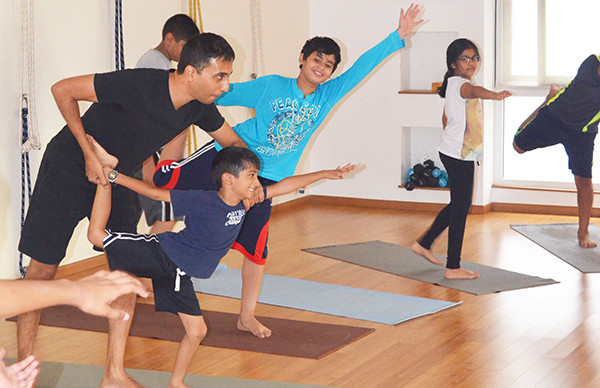 Yoga-based practices appropriate for child development such as asanas, asana-based movement, yoga-based games and activities, breathing techniques and chanting. Detailed study of classroom techniques, lesson plans and group processing for children’s activities. Age-appropriate teaching skills for yoga class and effective communication skills for working with children. Anatomy and physiology related specifically to changes during child development and their application to yoga techniques. 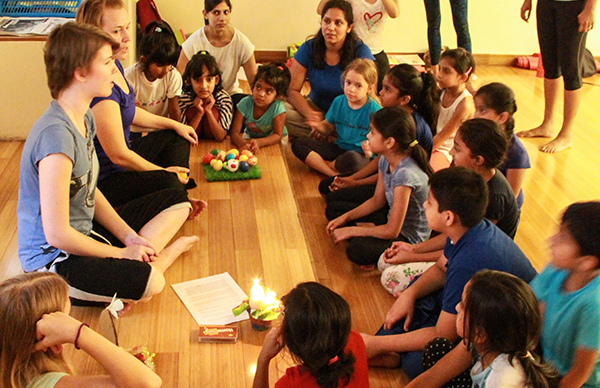 Apprenticeship and Group work – executing a Yoga workshop for children. 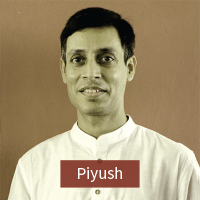 Piyush Sharma is a Coach, Facilitator and Wellness Evangelist. He has over 18 years of corporate experience, including 13 years in Software Product Development and Quality Assurance. He is an alumnus of Narsee Monjee Institute of Management Studies, Bangalore (NMIMS). He has worked with major organizations such as Oracle India, Hexaware and vMoksha Technologies. Piyush is currently associated with a1000yoga Academy to train aspiring yoga teachers and various course management activities. He is a Certified Coach (Neuroscience based Results Coaching methodology) from Neuro Leadership Group, India and a Certified Counsellor from Manford Group, India. He is a Certified Hatha Yoga Teacher – RYT 200+300 (Yoga Alliance, US) and QCI Level 2 (Ayush Ministry, India). He is an integral member of “Yoga Utsav” initiative for Bangalore and is an active volunteer for Giftabled India and VillageKidsIndiaTrust NGOs.